Phone numbers historically have been found by flipping open a large phone book, figuring out what listing that number could possibly be under, and writing the number down on a piece of paper that is promptly lost. However, with the advent of very convenient Web search technology, this process has been streamlined to the extreme. Google is an incredibly useful resource for tracking down all sorts of different phone numbers: personal, business, non-profits, universities, and government organizations. 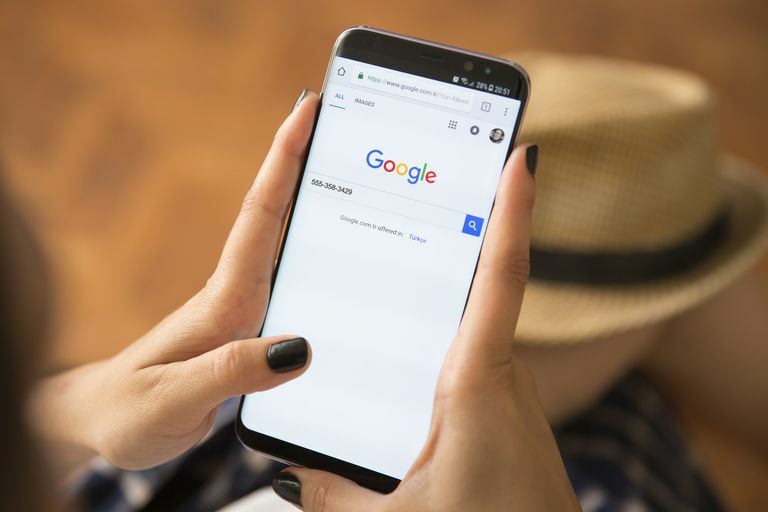 This article lists some of the more obvious ways you can use Google to find phone numbers, plus a few of the more advanced (and maybe a bit obscure) ways that listings can be located. Google certainly does index an amazing array of information, however, that does not mean that a phone number can be found online if it's been completely private, not released in a public space, or is unlisted. If it can be found online, the search methods outlined in this article will track it down successfully. Full name plus zip code: Type in the person's full name plus their zip code, and Google will return relevant contact information, including a map. A simple Web search: If the person has ever input their phone number onto the Web, a simple search for that person's name can sometimes turn it up. Type their name in quotes into Google's search field and see what comes back. A reverse phone lookup with Google can be done, but only if the number is A) not a cell phone number and B) is listed in a public directory. Type in the number you're looking for with hyphens, i.e., 555-555-1212, and Google will return a list of sites that have that number listed. Type of business plus zip code: Perhaps you don't know the name of the business you're looking for, but you have something in mind. Type in the business genre, for example, "pizza restaurant", then the zip code. Google will return local listings that include maps, reviews, and contact information (phone numbers, addresses, website URLs, even email addresses if available). Type of business plus city: Just like in the previous example, except you can substitute the name of a city for a zip code, i.e., "Seattle doctors". Basically, you're using Google to search within a website for the 'Contact Us' page, which typically has the most relevant phone numbers listed. You could also try 'Help', 'Support', or any combination of these three. In addition to general Web search, Google offers specialized search properties that focus in on specific segments of online content. You can use these search engines to find phone numbers and personal information you might not have otherwise. Search by name, phone number, or, if you know a username or nickname that the person you're looking for goes by, try that too. Search for academic connections using Scholar. This search site takes a little bit of getting used to, but if the phone number you're looking for is related to a scholarly or research-based topic in some way, this could be a useful option. site: .gov library of congress "contact us"
You've limited your search to only a ".gov" domain, you're looking for the Library of Congress, and you're looking for the words "contact us" in immediate proximity to each other. The very first result that Google returns is a contact page for the LoC.